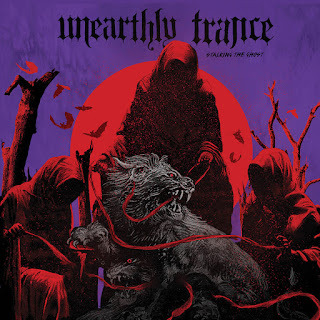 The Sludgelord: ALBUM REVIEW: Unearthly Trance - "Stalking the Ghost"
ALBUM REVIEW: Unearthly Trance - "Stalking the Ghost"
There are few bands to which the phrase 'criminally underrated' is aptly applied as Unearthly Trance. 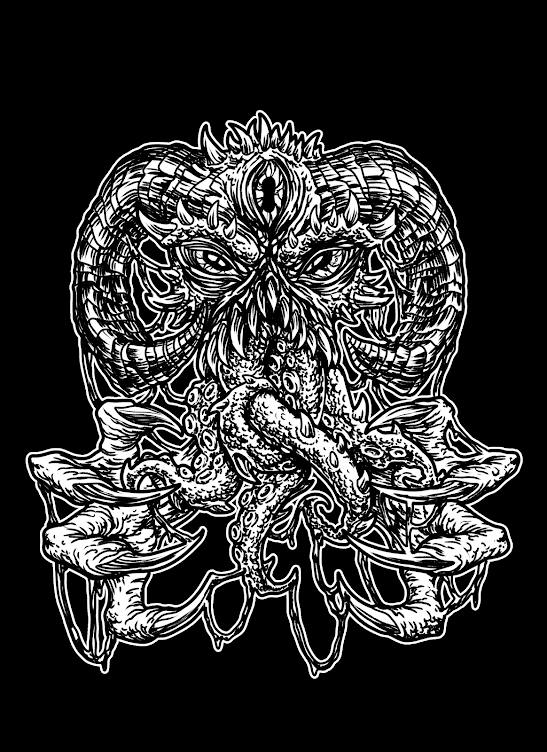 Arguably spawning the 'blackened sludge/blackened doom' genres, they remain a hidden gem in extreme heavy music that only certain individuals appreciate. 7 years have passed since the superb 'V' with breaking up, 2 Serpentine Path albums, a few Howling Wind releases, a few other projects, a reunion, fatherhood, Thralldom reforming and releasing music coming in the meantime. The question that needed to be asked; will all this time dampen the creative fires that burn within the trident? Fear not! As 'Into The Spiral', the album's premier track goes straight for the neck muscles with its pulsating, blackened groove, it's a superb start to the album and adds an element of optimism. 'Dream State Arsenal' is more about the gravity; crafting a ludicrously catchy, yet so crushingly heavy riff punctuated by Darren Verni's always exceptional drumming, it's a definite pick up point to where 'V' left off. 'Scythe' crawls like a venomous snake, before striking and infecting your blood stream with its glorious riffs and stop/start rhythm and I'm reminded a little of 2006's 'Electrocution' in stylistic delivery. Anyone who has heard 'Famine' will know how thick and heavy the guitar sound is, with Ryan Lipynsky's unique riffs sounding apocalyptic yet crystal clear. I heard 'Lion Strength' on a YouTube video of UT playing live, to me it sounded like some of their earlier work...but on record, it's a natural progression from 'V', with Lipynsky providing both the throaty, melodic vocal passages, echoey whispers and his traditional gnarly growls. 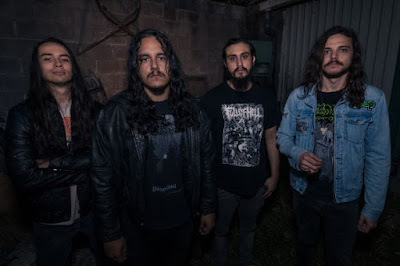 'Invisible Butchery' starts with some atmospheric noise before the death growls bellow out like lava spewing from a cavernous volcano. It's the slowest song on the album and will please the doom heads with its subtle nods to Winter and Autopsy. The Penultimate track 'The Great Cauldon' is a 9 minute epic which sweeps through several genres, starting out with head swinging trad-metal and descending into blackened doom, albeit melodic and calculated. As the track travels along, it bares similarities to 'The Scum Is In Orbit' with Lipynsky's trademark croons and guitar solo near the song's conclusion. Excellent stuff. 'In The Forest’s Keep' is the final song and is more of an atmospheric outro than a full song with melancholic guitar passages played over a harsh rumbling before a sample is heard, with added delay over the top. It's a fitting finale to this beautifully crafted album. To say I had been eagerly anticipating this album would be an enormous understatement; UT are one of my favourite bands and they have rarely, if ever, put a foot wrong along their path. Hopefully, this album will garner the attention and success they deserve. A triumphant return? That and then some.